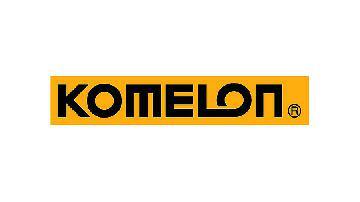 The Komelon PowerBlade. Available in 5m/16ft, 8m/27ft. It features a magnetic, true zero end hook which is secured by three rivets. The tape features a nylon coated, hi-vis blade that has both metric and imperial scales printed both sides of the blade with vertical markings. The blade also has rounded edges and rubber grip. It has guaranteed Class 2 accuracy. I have to say that I will not be buying this tape, having tried it it's a really good tape apart from the weight I need a lighter one. It feels nice and solid, the tape itself is a good quality with smooth edges. Very easy to read on both sides which is so convenient a great feature. I would like a magnet on the end of all my tapes. Definitely try it if you like it buy it . Excellent tape for any trade, the tip makes it excellent for scribing a mark, the rubber grip gives for a superb fit, the magnetic tip comes in handy on longer measurements. Worth the money. A1 tape. Very rigid blade and easy to read. The hook is triple riveted and reinforced. Withstands a drop or to as well! Brilliant tape measure. Very strong for measuring across a distance. High visibility and it's printed on both sides which makes it easy to read. Got one of these in my blue box. Great chunky tape. Actual tape itself isn't flimsy, easy to read and handy being printed on both sides. Fantastic value for money. Nice tough tape, takes a few knocks and bangs. Hi Vis blade makes for easy work. Recommended to several friends in the trade. Excellent tape measure, big and easy to use. The hivis blade makes it easy to read, would defiantly recommend this tape. Nice BIG tape, well made and some good features printed both sides, magnetic end... Good value as some of the big brand tape measures are well expensive! I received this tape in my blue box and have been trying it since on site, great taps, magnetic end, good build quality. Has reversalile tape and the high vis tape makes it easy to see when there limited light on site. Would recommend and will use from now on. Great tape measure. Very sturdy and can take a fair thud when dropped. Good clip that doesn't lose tightness over time. Double sided numerals always a bonus too. Got this tape on a tool talk deal for £8 what a bargain for such a high quality tape , sturdy, magnetic catch, double sided this one is a winner. It even better when coupled with the komelon quick draw system! Absolutely the best tape I've ever had. The day I loose it will be a sad day. Love it for measuring flues through the wall as can use both sides of the tape. Great tape measure easily the best I've had I was sick of my old one kinking and landing on my head when measuring staircases this one is really strong and sturdy so will do the job fine. What a brilliant tape measure. The thing is heavy duty and bulky but that is to be expected at 8m. The hi-viz tape makes it very easy to read in low light. And the most important thing I got to over 2m seeing how far it would stretch out before snapping. Great tapes I would choose these over Stanley any day great tapes great value for money. Highly recommend. Robust and well made very clear to read even I awkward places. The nicest, smoothest and most well made tape iv picked up. 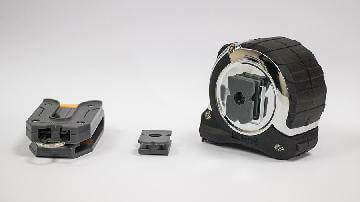 Great tape, accurate, compared against a leica disto. Overall a well made tape. Hi everyone. This is Tool Talk. My name is Ben Curry from Electrical Innovations, electrician over in Derby. Today I'm going to be viewing these Kamelon tape measures. Chameleon? Comilon? I don't know how you say it. Anyway, it's a PowerBlade II, and you'll have to excuse the selfie cam. It's all being backwards. You'll have to take my word for it. It's a five metre tape measure in that. I've seen these on Expert Trades in the Facebook group, people saying they were the favourite tape measure of choice and I'd not thought any more of it. You know, things just go over your head on Facebook nowadays. Everyone's saying the best of everything. And then I saw them on a trade counter and I needed a tape measure so I thought I'd pick one up. So I haven't been disappointed. They've been pretty good. They quite robust and I say they 'cause I actually picked up two of them. And they were quite cheep as well. I think they were less than a tenner each. Obviously local prices may vary, but what I like about them is the solid. When you drop them, not gonna break 'cause they're pretty hard metal, plastic and rubber. The tape measure itself has got numbers and letters, both sides, inches, millimetres, and all the rest. Both sides so you can see what's going on. Nice in black and yellow so you know I like that [inaudible 00:01:20]. It's got an orange stripe with green stripes on the label so you can actually see it when it's in your tool bog. Yeah. Really good. Super boring thing to talk about isn't it. Tape measure. 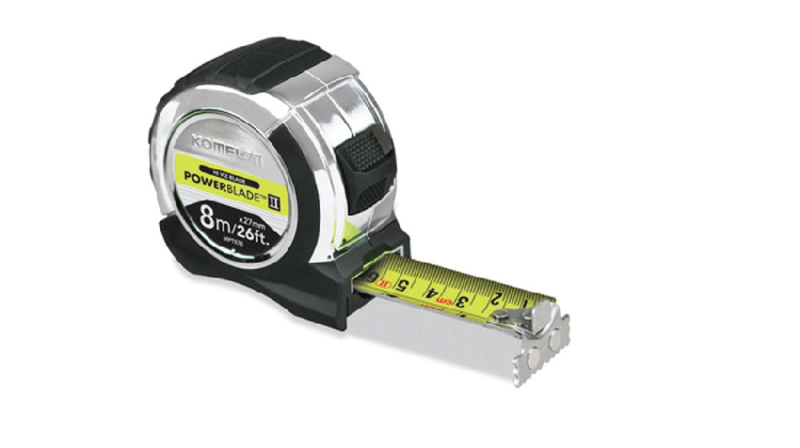 What's the best tape measure. Actually they're really good and when other people see 'em, they say, "You got a tape measure I can borrow?" And you hand them one of these, they always go, "mm, fancy." So nine times out of ten that's the sign of a good tool when people are like, "mm fancy." Yeah. I like it. It's got a magnetic thing on the end so you can have tape measure wars and you can see who's got the strongest tap measure. Also means when you're going like that, you can stick it to if you're measuring something metal. If you're measuring to, like a kitchen unit, you can magnetise it to the nearest screw on there or something like that. Actually if you look at ... I've got a like van window now. Don't worry I'm not parked on the road, there's nothing coming. They've got quite a bit of ... What's that? Do you see that? 80 inches, two metres. It's got ... You can go quite some distance, still going. Two and a half metres, there's two and a half and 2.8. Oh. That was pretty extreme wasn't it. 2.8 metres before it wound back in. Yeah. It's pretty good. Can't go over too much [inaudible 00:02:49]. So that's the Kamelon, I'm terrible with this aren't I, PowerBlade II. I've been Ben Curry and you've been watching ToolTalk. Thanks a lot.